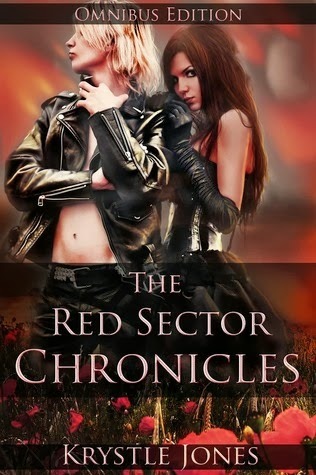 When I first started writing my Red Sector Chronicles series, I didn’t know at the time I’d be writing dystopia. I was actually leaning more toward urban fantasy, since that’s what I read a lot of. But then as I developed my characters and brainstormed story ideas, I came to realize this storyline would work better in a futuristic America, where vampires ruled supreme. But boy, did I have my work cut out for me. Here’s the thing: Dystopian worlds are a lot of fun to write about, but they’re also a lot of work. I actually found them to be almost as involved as my epic fantasy worlds! In a dystopian novel, the world itself has a lot of influence over the rest of the story, especially the atmosphere. Dystopian novels – at least all the ones I’ve read – often imbue a very bleak, dark future. This can make the story somewhat heavy and depressing, which affects the characters’ attitudes and the themes of the story. There are more upbeat/comedic dystopian stories out there Warm Bodies, anyone? ), but the large majority I’ve seen are toward the depressing order. Now, I like a little bit of humor in my books, so I tried putting that in my trilogy to provide some relief from the heavy atmosphere. Death hangs over my heroine through a lot of the story, since I also love thrillers, and I knew too much tension can strangle a reader. It’s like watching one of those movies where there’s so much action you eventually become desensitized to it, and it loses its effect. So that was something I had to watch out for. I knew I wanted my vampires to be scary more so than sparkly (for the record, I love Twilight), but I’m also a little in love with the idea of the “romantic, dreamy” vampire that looks more like a human. So I decided to have both, the regular vamps and the Rogues, or flesh-eating monsters. Then it was a matter of figuring out how they fit into this dark world, and how they had altered history. That’s another thing, the “what went wrong” factor. Every dystopian novel has it, from killer plagues to the zombie apocalypse. For me, I decided vampirism was more of a disease rather than a fantasy element (witch cursing a prince, or something equally fantastic), and the Rogues were going to be the vampires who’d fallen prey to their bloodlust and lost their minds to it. The “what went wrong,” “what’s happened since,” and “where we are now” play a big part in dystopian stories. The more I figured out about my dystopian world, the more I realized I was going to need a story bible. There’s no way to keep all those details straight, because you’re pretty much making stuff up after a certain point, from alternate history, to world building, to the way society and the government function in this alternate universe. Especially if you’re writing a series, a story bible is wonderful for keeping yourself from sticking your foot in your mouth in later books. If you’re going to be the queen of the universe, you have to keep track of what you put into it. Lastly, I’d say the one of the big decisions about writing dystopian is deciding how much fantasy versus science fiction you’re going to have in the story. For me, my world was pretty grounded in science fiction, as I think most dystopian stories are, but there are definitely sci-fi books and movies that incorporate some fantasy elements (i.e. Star Wars). I’d say figure this out in book one and stick with it. If you’re writing a series steeped in reality and explainable science, and you suddenly have flying magical unicorns floating around your pages, readers will 1) be thrown out of the story; and 2) not believe it one bit. So stick to one or the other (no fantasy elements vs. some fantasy elements). Just be sure not to let the fantasy overwhelm the sci-fi, or else it becomes more fantasy. Those are some of the things I had to think about while writing my dystopian novel. Hopefully, they’ll help you write yours, if you’re a writer, or give you a glimpse into what a writer thinks about, if you’re a reader.